Imagine a digital world without limitations. Imagine UNLIMITED proofing galleries. Imagine UNLIMITED image storage. Imagine the possibilities for your business. 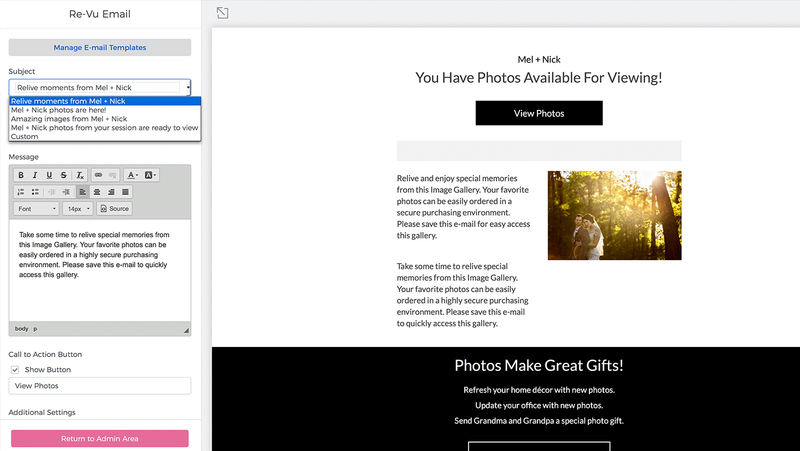 With unlimited image storage, you can relaunch and reactivate your galleries to all site visitors. You can now re-engage your client base, their friends, and their families during the holiday season and anniversaries. Successful photographers know that the more you engage with your clients, the better your opportunity to sell and increase profits. 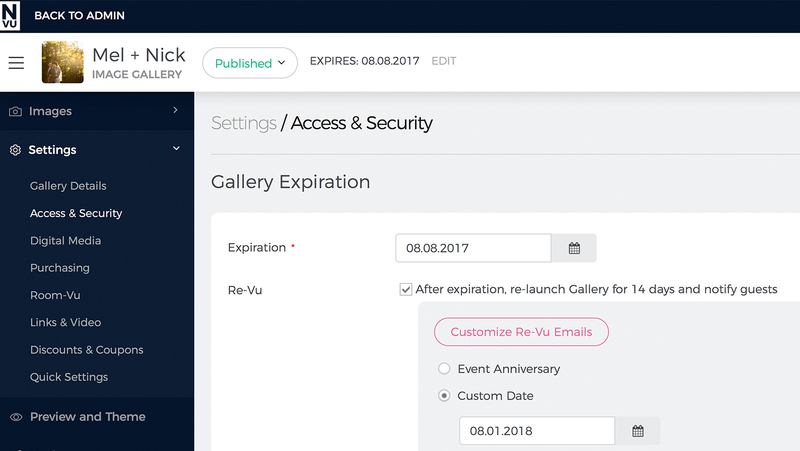 Re-Vu allows you to quickly and easily reactivate your client galleries. Activate Re-Vu in your gallery settings. 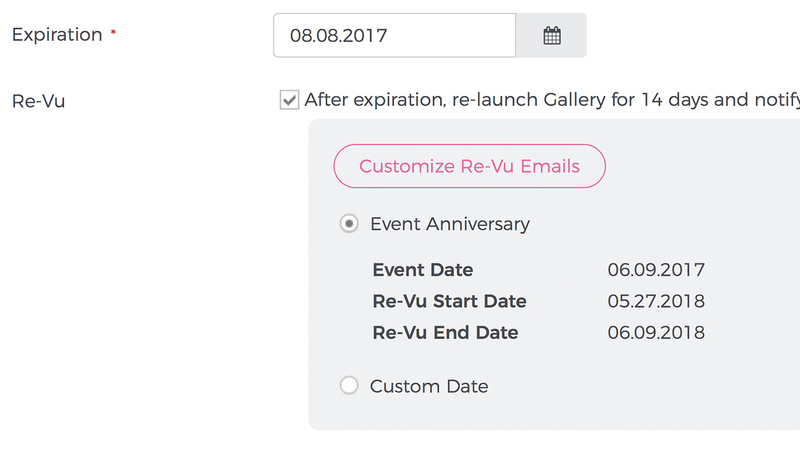 Select Event Anniversary or a Custom Date for your event’s relaunch date.